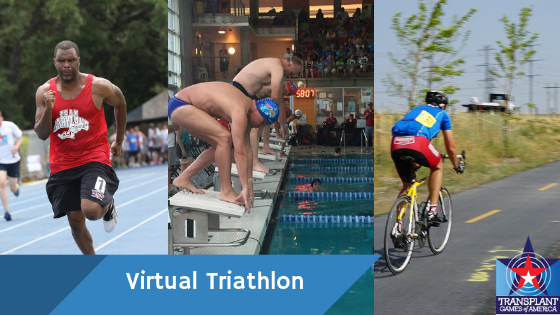 Competitors must compete and complete all three individual events to be eligible for the Virtual Triathlon competition. Competitors must state in registration that they are participating in the in the Virtual Triathlon. Total time results based off the following events: 1,500m Track and Field Run Event, 500yd Freestyle Swimming Event, 20km Cycling Event. Medals will be awarded to first, second, and third to Division 1 and Division 2 athletes by gender and age group. Once all three events have been completed and results are available, Virtual Triathlon staff must record all competitors and times/scores to the appropriate system/documents. When electronic scoring is being utilized a manual backup system must be in place to record results.